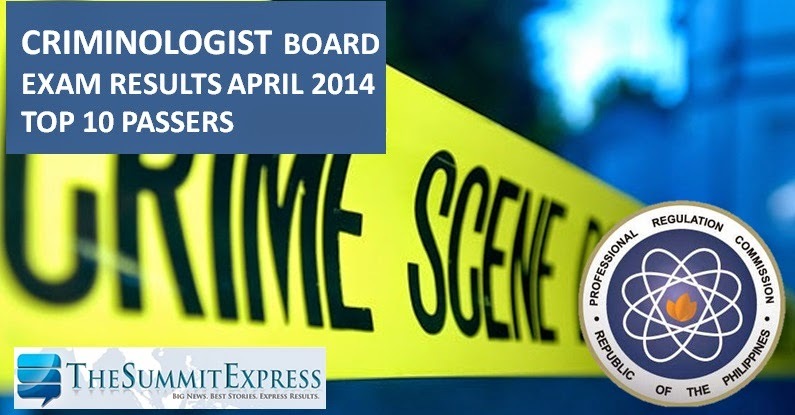 The Professional Regulation Commission (PRC) on Wednesday, April 23, 2014 announced the full results (list of passers, top 10 and performance of schools) for April 2014 Criminologist board exam. 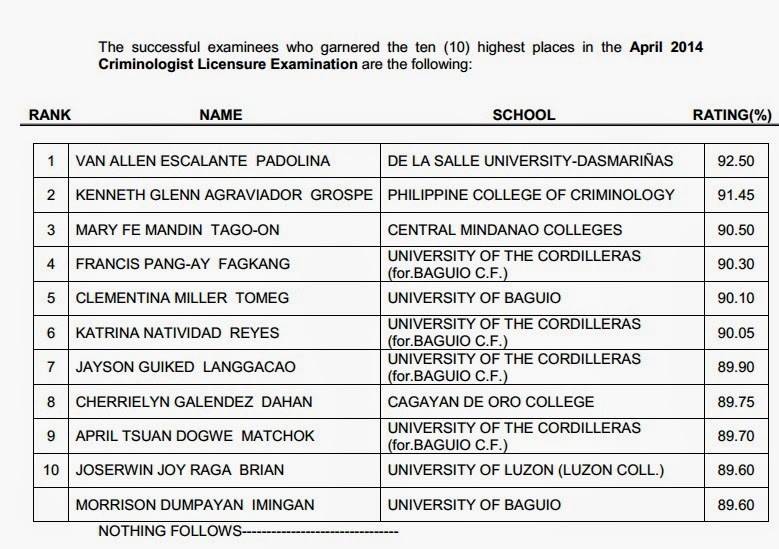 Van Allen Escalante Padolina from De La Salle University - Dasmarinas topped the board exam with 92.50 percent grade. Kenneth Glenn Agraviador Grospe, graduate of Philippine College of Criminology ranked second with 91.45 percent grade.